Program managers occasionally have affiliates ask them to provide a custom link to a certain product or page. Of course, affiliates have the ability to create and build their own custom affiliate link through the AvantLink dashboard and tools like the SnapLinker, but some request that the merchants help them accomplish the task on their behalf. With a new merchant-level custom link building tool, program managers now have the ability to do just that. Custom link creation for affiliates is accessible in the merchant dashboard in two places. The first option is on the merchant dashboard under the ‘Create Custom Links For Your Affiliates’ sidebar box. The same option is also available by clicking ‘Tools’ in the top navigation. Both options lead to the same configuration screen. To create a custom link, merchants need only three pieces of information. The drop down menu of all active affiliates associated with this merchant that the program manager can build customer affiliate links for. The desired landing page URL: The final destination that someone clicking on this affiliate link will arrive at. This can be any page on your brands website. Each URL needs to include either http or https first instead of starting with just www. The affiliate the link is built for: Select the affiliate account the custom link being configured for. Managers can search for affiliates by name or select them from a drop down list of each active affiliate on the program. Which affiliate website the link will go on: Many affiliates have multiple websites that they operate. Select the specific website you are building the link for. This system gives program managers a powerful tool to help activate less-technical or unengaged affiliates by providing them exactly what they need to start marketing. 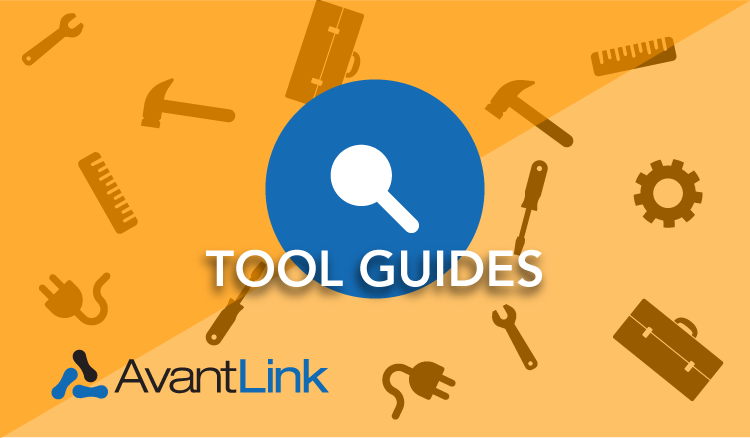 The updated AvantLink Custom Link Builder tool for affiliates. The Custom Link Builder Tool for affiliates is sporting its own updates with an easier to use interface and more clear guidelines for choosing between generating raw affiliate links versus HTML coded links. The difference between the two options is subtle but important. Raw affiliate links will track and report on clicks but do not show ad impressions. On the other hand, HTML structured affiliate links show both clicks and ad impressions. Regardless of the link type chosen, the same two pieces of information required to build a customer link remains the same: the merchant landing page URL and selecting which affiliate website to generate the link for. The new Custom Link Builder looks great! I saw it in my dashboard and used it today. I had a little trouble. When I stretched the window down to see all of my HTML, to copy it, some of the code disappeared. Scrolled up and out of view? I couldn’t get the code window to shrink back. Also please add the rel=”nofollow” option. I always use in on ads. Hey Kimball, thanks for the feedback. It has been sent over to the project management team for review. What browser were you using, if you don’t mind sharing? I was using Chrome. Thanks!